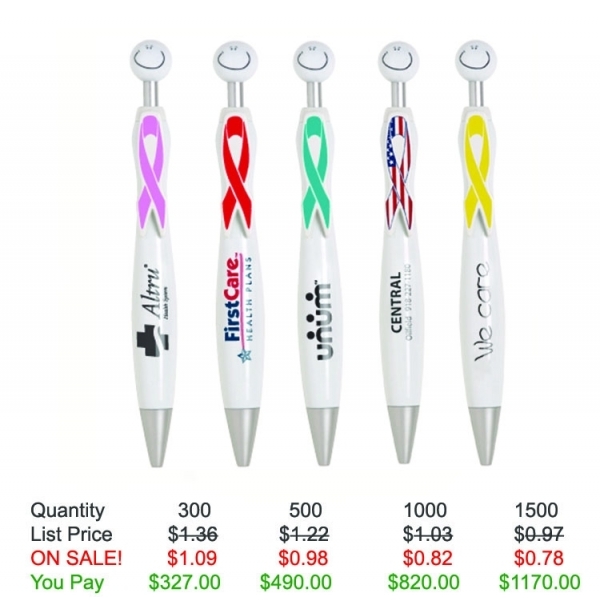 Swanky awareness pen. 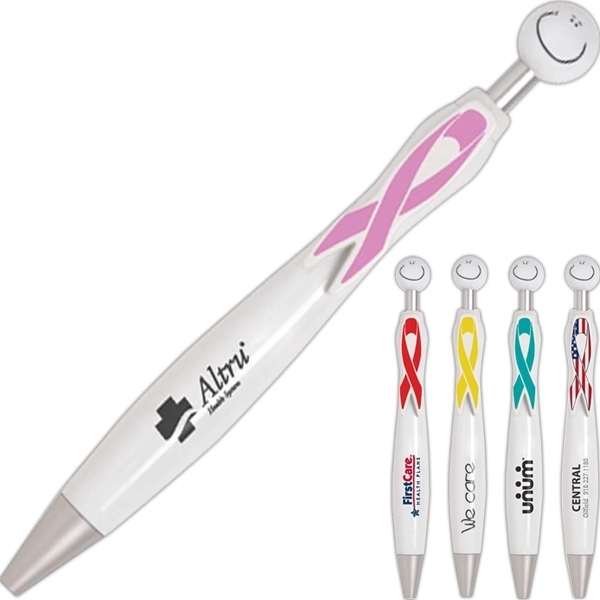 Click-action ballpoint pen with awareness ribbon clip. Available in white, with any one-color ribbon. Quality black ink cartridge This is the perfect way to put your branded message directly into the hands of your customers! 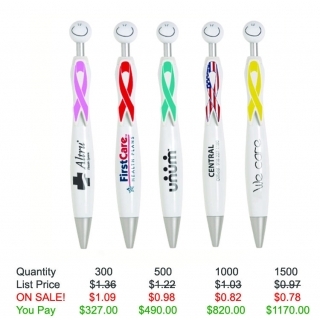 Product Features: Ballpoint pen with awareness ribbon clip.